(Newser) – A one-of-its-kind property is available for buyers looking for a big stake in the Transylvanian property market: the castle that once housed the inspiration for Bram Stoker's Dracula. 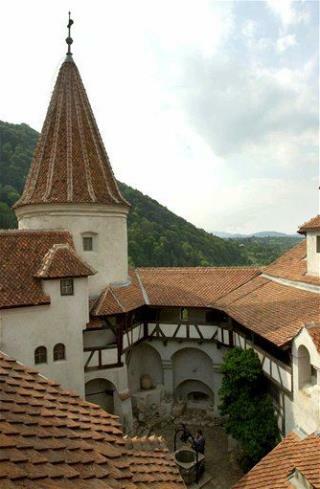 Bran Castle, long one of Romania's top tourist attractions, has been owned by everybody from Teutonic knights to Communist governments over the years, and the elderly archduke who now owns it is ready to sell, the Telegraph reports. Vlad the Impaler, whose sadistic rule was the source of many vampire legends, operated in the area in the 15th century and is believed to have been imprisoned in the castle at one point, reports the Daily Mail. Castle Bran, which was not an inspiration for Bram Stoker, there's nothing to say he'd even heard of it, as well as he described the castle being much further north. While the Romanian government promotes the beautiful Castle Bran as being Dracula's Castle for tourism reasons, there is no proof Vlad the Impaler even visited it, let alone owned it. If you're interested in the real life Dracula's real castle, it's Poenari Castle on the Arge? River. It's really a ruin now... 1480 steps up the mountain. Been there, cool and heck. Dracula ran the muslims out of town.